According to IMF's World Economic Outlook, April 2018, India's GDP touched $ 2.6 trillion in 2017 making India the world's sixth largest economy in the world after USA, China, Japan, Germany and UK. In terms of purchasing power parity, it is the third largest economy in the world. In some of the recent years, India was the fastest growing major economy in the world and is expected to remain so in 2018 and 2019 as well (with rate of growth projected at 7.4 per cent in 2018 and 7.9 per cent in 2019 in the above mentioned Report). These are all encouraging signs. However, in terms of per capita GDP, India lags considerably behind the developed countries and a large number of developing countries. Accordingly, the standard of living of the masses is appallingly low and levels of poverty, malnutrition and undernutrition are very high. While estimates of poverty are available only upto 2011-12 and have not been updated in recent years, indications are that poverty levels are very high as data on income inequalities amply demonstrate. For instance, while the share of the top 1 per cent in country's wealth was as high as 58.4 per cent in 2016, the bottom half of the population owned a mere 2.1 per cent of the country's wealth in that years. Moreover, one out of every seven persons in India is undernourished, 38.4 per cent of children under the age of five are stunted and 21 per cent of children under the age of five are wasted. It is distressing to know that India is home to the highest number of hungry people in the world – almost one-fourth of the world's hungry live in India. Not only this, the levels of unemployment and underemployment continue to be very high and high economic growth during recent years has been mostly jobless. 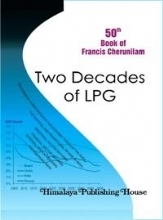 As in the case of the earlier editions, in this edition also, we critically analyse the performance of the Indian economy over the years, discuss the problems confronting the different sectors, and carry out a threadbase evaluation of the different programmes being undertaken by the government in considerable detail. We also examine the opportunities and challenges facing the Indian economy in the new emerging global environment. This edition also carries out some innovations. For instance, on persistent demand from our esteemed readers, we have introduced a new section explaining the concepts and terms used in the book (see 'Definition of Terms Used in the Book' after Preface and Contents). A discussion on ‘Union Budget 2018-19' has also been included. 'Snapshot of the Indian Economy' presents useful economic information about India in a consolidated form for the benefit of readers. 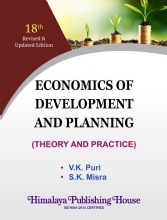 Part I of the book ‘Economic Development: A Theoretical Background’ is divided into three chapters. 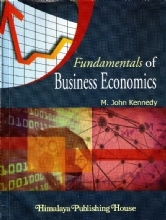 It discusses the concepts of economic growth and development, common characteristics of underdeveloped countries, the role of economic and non-economic factors in economic development, the concept of human development, human development index, gender inequality index, multidimensional poverty index, etc., and issues concerning the relationship between environment and development. 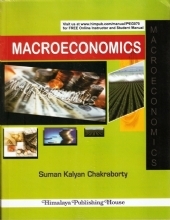 Part II discusses the ‘Structure of the Indian Economy’ and consists of thirteen chapters. It is devoted to the discussion of various issues relating to the nature of the Indian economy including the natural resources and ecological issues, infrastructural development, population problem, unemployment and poverty (including a discussion on universal basic income), income growth and inequalities, etc. 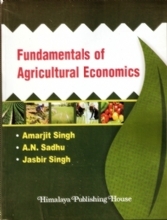 Part III of the book ‘Basic Issues in Agriculture’ consists of nine chapters. It starts with a discussion of the role, nature and cropping pattern of Indian agriculture and then takes up for discussion the issues in Indian agricultural policy (including a review of the new global opportunities and challenges facing Indian agriculture in the wake of the various agreements concluded under WTO). 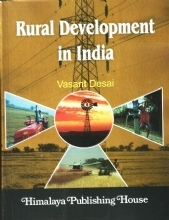 We then proceed to a discussion of agricultural production and productivity trends, progress and failures in the field of land reform, green revolution and its impact on the rural economy of the country, agricultural finance and marketing, agricultural prices and agricultural price policy, the food security system in India, and agricultural labour. 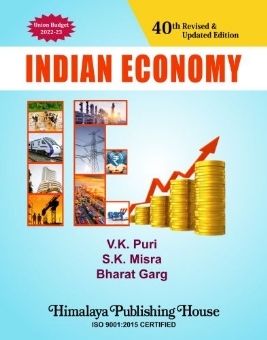 Part IV on ‘The Industrial Sector and Services in Indian Economy’ consists of ten chapters. It starts with a discussion of industrial development during the period of planning and then proceeds to discuss some major industries of India. This is followed by a discussion of small-scale industries, industrial policy, role and performance of public sector enterprises, the issue of privatisation in public sector enterprises, role of private sector in the Indian economy, CSR (corporate social responsibility), the problem of industrial sickness, and various issues relating to industrial labour. The last chapter in this part (Chapter 35) discusses the growth of the services sector and related issues. Part V of the book concerns ‘Foreign Trade and Foreign Capital.’ Consisting of eight chapters, it starts with a discussion of the changes in the composition and direction of India’s foreign trade, and then proceeds to a discussion of India’s balance of payments, trade policy, policy relating to foreign capital, exchange rate and capital account convertibility, MNCs (including a discussion on FERA and FEMA), etc. The last two chapters of this part discuss in detail the opportunities and challenges that the Indian economy faces in the new global environment and also examines critically the working of the WTO. Part VI on ‘Money and Banking’ consists of six chapters. It starts with a discussion of the problem of inflation in India and then takes up the discussion of Indian money market, expansion and progress of commercial banking in India, Reserve Bank of India and a critical appraisal of its monetary policy, development of capital market in India and steps taken to strengthen this market in recent years (including steps taken by SEBI) and institutional financing. Part VII on ‘Public Finance’ contains five chapters. In this part, we start with a discussion of the Indian tax structure (including a discussion on GST). This is followed by a discussion of public expenditure and public debt in India. The chapter on ‘India’s Fiscal Policy’ in addition to discussing the various aspects of fiscal policy as is being implemented in India, examines the issue of fiscal responsibility in detail. The last chapter of this part focuses on the issues related to federal finance in India. It also discusses the report of the Fourteenth Finance Commission in detail. 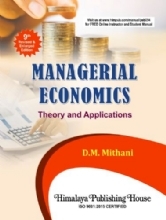 Part VIII which is the last part of the book is on ‘Economic Planning and Policy.’ It contains nine chapters. Starting from a discussion of the rationale, features and objectives of planning, we proceed to discuss the strategy of development as envisaged in the various five year plans. This is followed by a discussion of the financing pattern of India’s five year plans, sectoral allocation of resources, regional planning in India, the problem of black money (including a discussion on demonetisation), and assessment of planning in India (including a detailed discussion of the posteconomic reform period). The last chapter of the book (Chapter 63) considers the Twelfth Five Year Plan in detail.